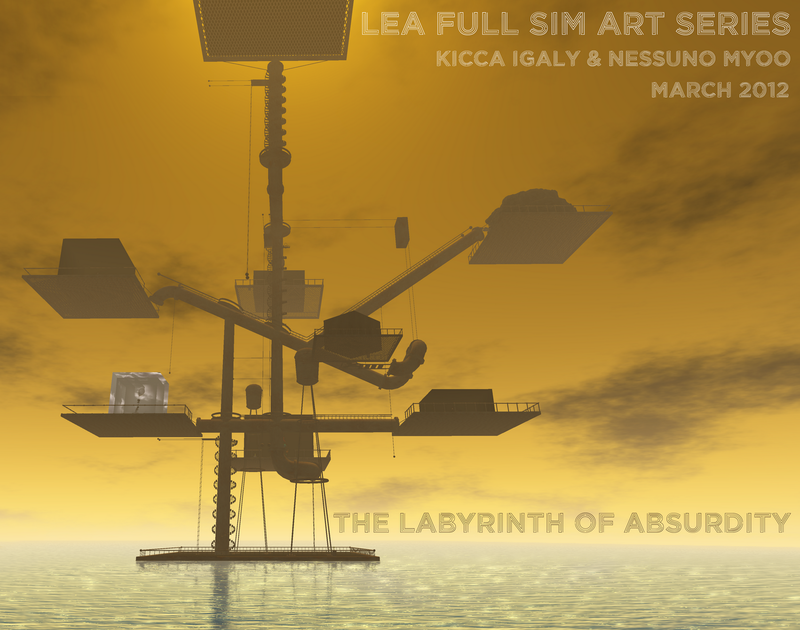 The LEA FULL SIM ART SERIES moves to March with The Labyrinth Of Absurdity by Kicca Igaly & Nessuno Myoo. Launching on Thursday the 8th March 2012 at 2pm slt, this Full SIM installation, is according to the creators, best seen in the AM Radio Nostalgia sky setting. We recommend to set a good quality graphics and a draw distance of at least 200m.